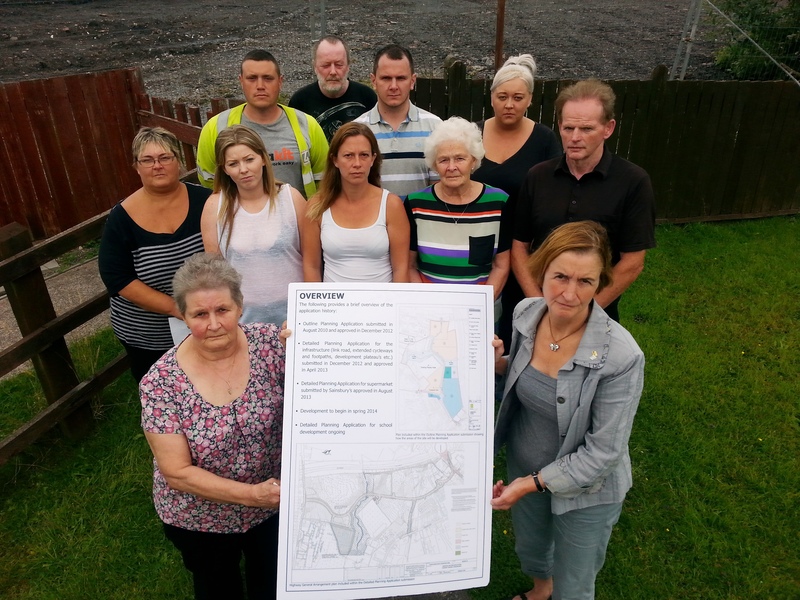 To address residents’ concerns, Nia Griffith MP set up a meeting between Mr Graham Richardson of Metier Group representing the developers, Mr Eifion Bowen CCC’s Head of Planning and appropriate technical staff. Commenting on the meeting, Nia said, “We had a very constructive meeting between the residents, Mr Graham Richardson and Mr Eifion Bowen CCC Head of planning, and, I would like to thank all concerned for their very positive approach. It was agreed that residents would be able to use a vehicular access as shown on the original map, and that there would be a pedestrian gate at the back of 22 Bancyffynnon for residents with enough space on the residents’ side of the fence for residents to walk along. It is also proposed that there will be a pedestrian gate through the acoustic fence at the end of Bancyffynnon. Residents have now received a plan and they are pleased with the layout. The owners of properties on this side of Banyffynnon would now simply like some clarification on the exact measurements involved, and reassurances that the land will be left in fit state after the erection of the acoustic fence.